A health resort means rest and recreation for body and soul. Come and enjoy different health recovering and relaxing procedures in a jubilee-flavoured Pärnu! For this purpose the Pärnu spa hotels have prepared offers especially tailored to You! In 1838 the first bathing establishment was opened in Pärnu, which is considered to be the start of Pärnu as a health resort. The bathing establishments of the time were largely different from those of today; however, their goals – to offer refreshment for body and soul – have remained unchanged. Today there are six spa hotels in the city, offering different health recovery and relaxation procedures. Long-term experience and skills in the area guarantee the best quality. In Pärnu, you can let yourself be pampered in different spas which offer water and sauna enjoyment, mud treatment, massage, laser and white wax cure, salt chambers, chocolate wellness. Those, who have more courage, can share in the icy, -100˚C “endearment” of the cold chamber. Divine complexion with the Dead Sea! a gift from the Dead Sea (Dead Sea salt sachet (150-200g), for bath or body peeling). Package buyers get a 10% discount on 5 or 10 visits to the water park at the White Building. The package is valid 01.01-24.06.2013 and 01.08-18.12.2013. 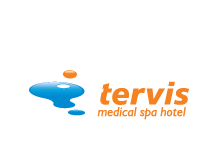 The use of the saunas and pool centre Estonia Termid from 6.30-22.00. Walk with the Nord-sticks in the park or in beach area. The package is valid in case of vacancies. Doctors’ consultations are available to those staying at the spa for treatment for at least 4 days. On your doctor’s recommendation, treatment options will extend to stretching therapy, cold therapy, ultrasound therapy, magnet therapy and a variety of electricity therapy procedures. Price: 21€, package is valid 01.01-31.12.2013. The package is available on prior orders only. You have the ideal opportunity to introduce your young family member to the joys of spa relaxation. The package procedures were created specially for teenagers and take their age into account. A visit to the spa is an excellent way for a young person to begin exploring the world of beauty and relaxation. The spa experience will help the teenager escape the daily routine and shake off school stress. Why not spend the day with your child? Let our spa experts pamper you, too. Don’t forget that you also get exciting and healthy quality time at Estonia’s largest water park. The package is sold as a gift certificate at the hotel reception and at the therapy reception.